I have been quilting steadily since 1993. I say "steadily" since I did make a quilt and some quilted pillows back in the day, but I really didn't stick with it until 1993. 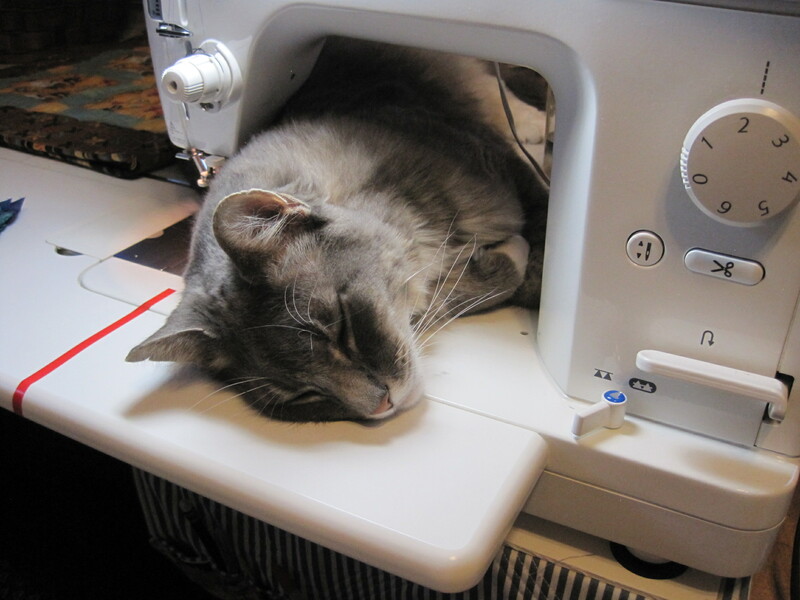 My husband bought me a Featherweight in 1996, and I was totally hooked with a nice little machine like that! 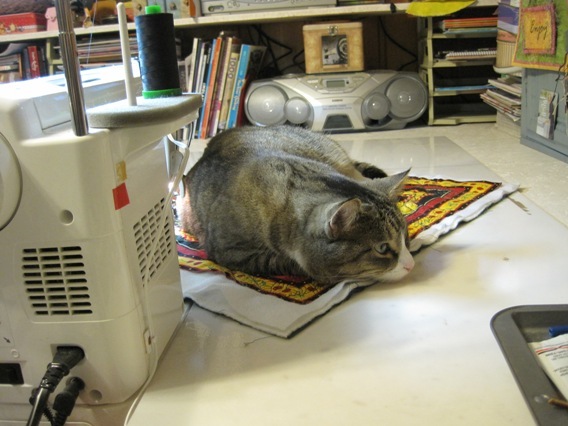 A few years later, he bought me a nice Pfaff (another surprise), and that has made my quilting even better. In 2008 I bought myself a Juki which only does straight stitch, but it is my favorite for free motion quilting, which I have come to love! Lucy, another helper, but she is not much help either. Ricky, one of my helpers. He's asleep on the job, but he has a very strategic place for his nap.